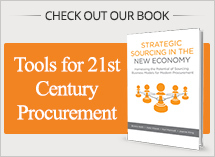 Sound procurement practices are essential to effectively execute your sourcing strategy. This is why organizational maturity matters. Without the proper skills and enabling processes to execute effectively, you are destined to cause angst for everybody involved. Getting it right means being able to execute your chosen Sourcing Business Model effectively. If your procurement organization or the responsible buyer has not reached certain levels of competencies, it will be very difficult, if not impossible, to execute more sophisticated supplier relationships. When we think about procurement maturity, we describe it as the ability to strategically manage a company’s spend requirements from cradle to grave. There are three primary aspects of maturity that are important to fully enable a procurement team to generate optimum value. Organizational Maturity: How is the function structured and how effectively does the organization perform the work? Category Management Maturity: How effectively does an organization incorporate category management concepts that help an organization make sound business decisions and best manage day-to-day work to meet business requirements? 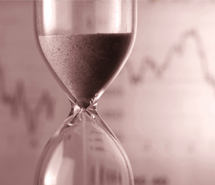 Supplier Management Maturity: How effectively does the organization work with suppliers? The Forefront Group has developed a comprehensive maturity assessment tool used by leading companies to measure their value impact and maturity progression across all three focus areas. Our proprietary assessment program allows companies to identify their current level of category management capability and establish an overall roadmap and plans to reach a maturity level that enables management of today’s business requirements of more complex, more integrated and more collaborative sourcing solutions. Contact us for an in-depth Maturity Assessment to provide a clear picture of your organization’s category management capability AND to develop a plan to position it to address the challenges of the ever changing and increasing complex business environment. For a FREE high-level maturity self-assessment fill out the form below.